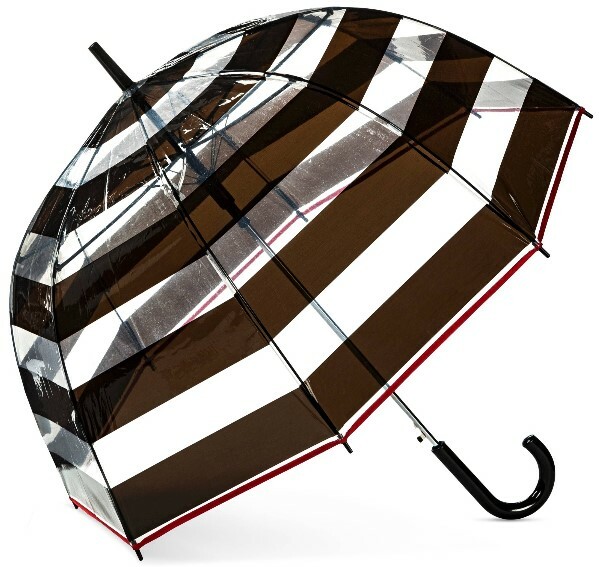 ShedRain Umbrellas Available NOW At Target! I love the bubble to it as well as the clear bits I can see through! It’s adorable and big enough for 2 – I know this because my Mom and DD tried it… lol. Plus, my DD loves it when she’s picking up her son from school! It is too cute, but, she had been wanting one that wouldn’t get wind beaten and one that closes quickly and easily without spraying water all over her when you bring it down. This one is perfect for her, it has an auto open and close feature that makes it quick and easy to open and close. It has an air vent canopy to let air in – not rain – which keeps the wind from turning it inside out, and it’s too cute and compact! Which is perfect because I LOVE it! It has a wood handle that I love and the style is adorable! We have used them a few times already and we are all very happy with them! 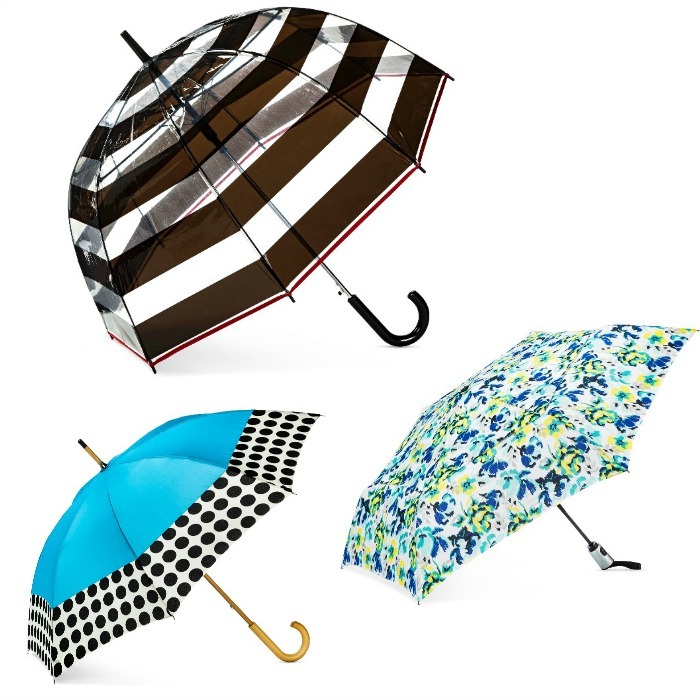 If you are in the market for a new umbrella you HAVE to check these out – they are at Target and VERY affordable! Go take a look and be ready for the rain! 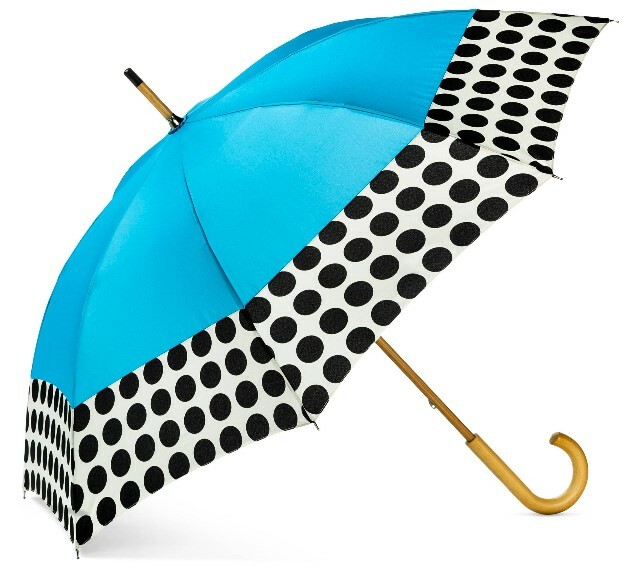 Don’t get caught in the rain without the cutest gear! ShedRain wants to make sure you are covered head to toe. 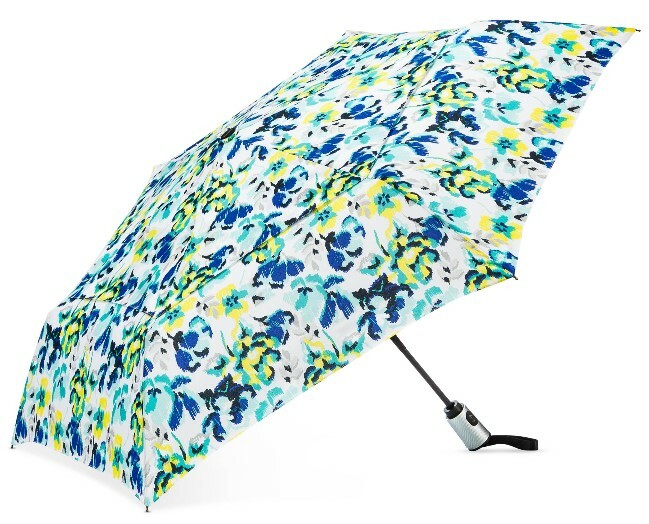 Raindrops won’t be a bother when toting around the chic selections from Cirra by ShedRain at Target. These umbrellas are available in different versions including Compact, Bubble, Stick and Mini Compact. With patterns like “Polka Dots”, “Stripes” and “Ice Cream Cones”, it’s no wonder that people are already naming them a spring favorite. As the oldest and most honored umbrella manufacturer in the country, the third-generation, family-owned company, ShedRain, offers a quality collection for the whole family.